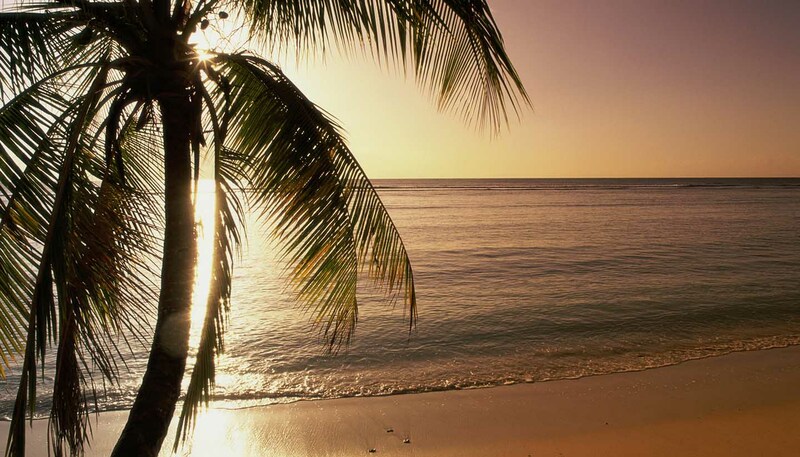 Take a dip at one of Tobago's fine beaches. Each has its own flavour, from the brown pelicans at Turtle Beach to fantastic snorkelling at Man O'War Bay. Store Bay, Mount Irvine, and Bacolet Bay are also well worth a visit, and Pigeon Point should not be missed. Catch a cricket match at the Queen's Park Oval in Port of Spain, where the best national and international matches can be seen. Here, on the ground that launched cricket legend Brian Lara, is the only time you'll see football challenged as the national sport. The enthusiasm of the crowds is as entertaining as the games themselves. Port of Spain's largest open space, Queen's Park Savannah, is a magnificent mixture of natural and manmade beauty with attractive trees, shrubs (including the African Tulip) and The Emperor Valley Zoo. The Royal Botanical Gardens boasts over 700 species of orchid, whilst its scattering of mansions include the historic President's House. Celebrate Carnival, Trinidad's wildest and most magical beano. The world-renowned festivities climax at the beginning of Lent, although the run-up to Carnival starts immediately after Christmas when the Calypso tents open and the Calypsonians perform their latest compositions. January through March are usually taken up with the preparations and festivities. Listen to the big steel bands bang their drums around Queen's Park Savannah, a large park in Port of Spain. Panorama, the Grand Steel Drum (pan) tournament is staged a week before Carnival. The preliminaries and local finals in Tobago are also well worth a visit. Take advantage of the excellent watersports facilities at the beaches along the north and east coasts of Trinidad, and all around Tobago. Speyside and Buccoo Reef, just off the southwest coast of Tobago, have some of the Caribbean's finest reefs, offer exciting scuba-diving. Trips in glass-bottomed boats are very popular, as is both deep-sea and freshwater fishing. Fort George, built in 1804, is, on the western side of Port of Spain, one of the nation's most important historical buildings. The most interesting feature is a signal box designed by an African prince. It yields superb vistas of the city and the mountains of northern Venezuela. High above the city, it's a good opportunity for birdwatching. Trinidad has several cave systems and the most extensive sits, appropriately perhaps, beneath its highest mountain, El Cerreo de Aripo. The stalactites and stalagmites here are sublime. Speleologists will also be intrigued by the Tamana Caves, which boasts 11 species of bat, and the subterranean treasure trove of Gasparee Caves, located on Gaspar Grande. Get active with a long hike along the excellent trails of Tobago's Main Ridge Forest Reserve. Some of the country's best hiking can be had here. The Argyle Falls, a three-tiered cascade and one of the island's most iconic landmarks, is here, as is Flagstaff Hill, a dramatic viewpoint on the northern tip of the island. Comprising the entire peninsula which juts out to the west of Port of Spain, this is one of the best places in the country, especially Williams Bay, to try your hand at kayaking. You can book a tour of the isles peppered off the coast, where you can visit a lighthouse, cave systems and a (former) leper colony. Buccoo Reef is a jaw-droppingly beautiful coral reef that stretches around the coast from the island's highest point, Pigeon Point, to the arcing Buccoo Bay. A glass-bottomed boat tour will reveal some 40 types of coral, whilst Buccoo plays host to the best cultural events in the country, including the Sunday School Street Party and even a goat race. Head to northeastern Tobago and the colourful beach settlement of Speyside. From here you can take a trip out to Little Tobago, also known as Bird of Paradise Island, a bird sanctuary and an essential stop-off for twitchers. Those wishing to spot the Scarlet Ibis, Trinidad and Tobago's national bird, should visit the Caroni Arena Reserve on Trinidad. A hefty dose of colourful, cosmopolitan life makes the Trinidadian capital a must-see. The city is far more diverse than you might expect: bazaars throng beneath modern skyscrapers and mosques rub shoulders with cathedrals. Whilst the architecture incorporates everything from Victorian houses to Stollmeyer's Castle, an imitation of a Bavarian Castle. Port of Spain is also home to the country's renowned carnival. Tobago's lush, hilly interior has some fabulous biking trails, such as those in the Adventure Nature Reserve and around the Main Ridge Forest Reserve. For fans of all things two wheels, there are guided excursions to suit all ability levels with Mountain Biking Tobago. With three malls, Port of Spain's shopping district is centred on Frederick Street. Nearby the Red House (a stately colonial building, now the seat of government), the National Museum and Art Gallery and the 19th-century Gothic Holy Trinity Cathedral offer plenty in terms of culture. Tobago is far more isolated than larger, more cosmopolitan Trinidad, and as such dropping in on some Tobago villages is a cultural eye-opener. On the Atlantic (windward) side of the island, there are many tiny villages including Mesopotamia and Goldsborough, the town of Roxborough and several beautiful bays. On the north coast, visit the picturesque villages of Castara and Parlatuvier. Head to Trinidad's mellow southwest region to see Pitch Lake, one of the nation's weirdest phenomena. It is the largest natural deposit of asphalt anywhere in the world and is self-replenishing to boot. You can swim here in sulphur pools if accompanied by a guide. For nature lovers, turtle-watching is magical. Three types – the giant leatherback, hawksbill and green – frequent the coast. The animals are legally protected, but you can take a guided tour to see the leatherbacks come ashore on Black Rock, or the hawksbills in the northeast of the island. March to August is when their infamous mating rituals take place. This former sugar plantation, the country's oldest, is now a hotel. However, the disused sugar mill, complete with formidable crushing wheels made in 1857, remains in the grounds. A well-presented museum rounds off what is all in all a fascinating testimony to a major chapter of Trinidad and Tobago's history.